PMR Market Insight is a methodology developed and used by PMR to assist in the preparation of reports and industry analysis. It defines the ways in which data should be collected and outlines the methods that are to be used to analyse the information gathered. Using this methodology, we are able to gain the most accurate and up-to-date view of the market in question. 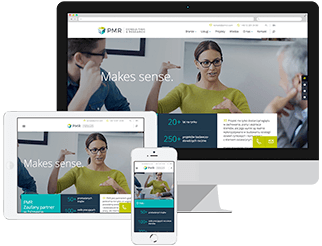 PMR Market Insight is used to define the content and structure of reports and this helps ensure clients receive a product that is of a consistent and superior quality. PMR Market Insight is used by PMR analysts to estimate market size, the market shares accounted for by major players and also to develop forecasts for the market being studied. PMR Market Insight is also used to determine the special procedures that are to be used in those cases where market data is incomplete. This enables PMR to produce high-quality, comprehensive reports on niche markets and those sectors where statistical data is scarce. Industry reports prepared using PMR Market Insight methodology rely on information from a range of statistical, industry (specialist press, the Internet), general and official sources as well as information from PMR's own databases and primary research carried out independently by PMR. The scope of sources and research techniques used in a task depends on the nature of the project in hand. Since 1995, PMR has been preparing industry analysis on Central Eastern European (CEE) markets. PMR Market Insight represents the channelling of almost twenty years of experience and best practice into a market-leading methodology. A report can also include other data and analysis, depending on the customer’s needs. The decision on how detailed a report should be is made in consultation with the client.